Most visitors to the Mediterranean coast of Turkey abuse the cliche Turkish Delight in their vacation Facebook posts and blogs. But a luxury charter Turkey itinerary that takes guests to various ports in along the coastline, with stops on nearby Greek islands, is indeed a delight. This area offers many quiet coves with pine-clad backdrops that invite passing yachtsmen to anchor and jump in for a dip. It is rich in ruins and artifacts of the 13 or more civilizations that have occupied the region over the ages. and it has bustling ports with big bazaars where visitors can haggle over prices to their hearts contents. 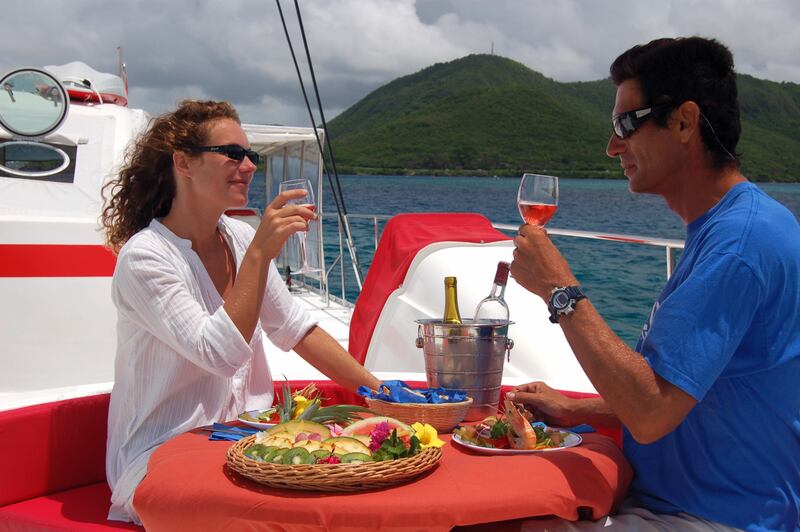 Here is a sample seven-night charter itinerary in this magical region. The best time of year for a Turkish Charter whether it be this particular itinerary or another, would be the month of September after the Summer crowds have gone back home and when the water is still warm. Day 1: Begin your voyage in Bodrum, or Halicarnassus, as it was known in ancient times. This is the hometown of Herodotus known to some as the ” Father Of History” or “Father Of Lies” due to his fanciful travel accounts. Guarding Bodrum’s harbor is a virtually intact castle built by the crusaders. It now has an excellent underwater archaeological museum with many artifacts found in wrecks along the ancient trading route on display. Day 2: After breakfast, set sail to the nice island of Kos. Visit the most famous ”Plane Tree” under which Hypocrites, the father of Medicine, taught his students. The houses in the region date to the roman era and the palace of knights of St. John has incredibly intricate mosaics. Day 3: The next leg of your yachting is to the tiny Greek island of Symi, which hugs the Turkish coast in the straits of Marmaris. Its scenic natural landscape consists of sheer cliffs, narrow fjords , private coves, and high mountains. Elaborate churches, elegant boutiques, seafood restaurants, and cafes painted in numerous shades of pastel colors line its harbor front. 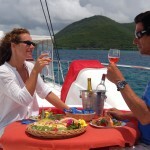 Enjoy a swim in the bay of St. George,then sail back to Symis stunning, story-book harbor. Day 4: Cruise back to Turkey to the little seaside village of Datca. There you will find friendly local people and a couple of very good restaurants. One unusual is the small freshwater lake with the little waterfall where you can immerse yourself.Anchor off on the beach along the south bay, visit the beach and the lake, and at night, listen to the pleasant sound of the splashing waterfall. Alternatively, during the day you can cruise across the Govoka gulf to the ancient port of knidos, which sounds Greek but is Turkish. This clear-water cove at the tip of the Doric Peninsula was a center of art and culture in the 4th century BC. Drop anchor in the larger of the two harbors and go ashore to visit the remains of Knidos’ city walls, two theatres , terraced streets, and several temples , including the temple of Aphrodite, a ”round” temple. Day 5: After breakfast, leave for the Marmaris, a bazaar town full of crafty rug merchants, beach tourists, and waterfront restaurants that serve fine doner kebap. Marmaris castle was built during campaign of Sultan Suleiman (the magnificent) to conquer the Greek island of Rhodes. During Ottoman empire, Marmaris castle and harbor were used as a supply point for the Navy. Marmaris is one of Turkey’s most beautiful towns and every backstreet and cafe is worth seeing, including its coves, sandy beaches, evergreen forests and plants. Some of the most memorable moments you will find during your Turkish sea journey will take place in the beautiful coves of Marmaris. Day 6: Sail across to the Bay Of Ekincik. If you dine ashore, try the incredible marina restaurants over looking the bay. A tour can be arranged to visit Caunos and Dalyan by small riverboat. This short trip inland by boat is along the reed-lined channels of the Dalyan river delta where you can see turtles, herons and kingfishers. At Caunos, visit the remains of theater, a byzantine church, a roman bathhouse and in an agora, or outdoor gathering place. An acropolis on the hill above the site rewards the climbers with a magnificent view of the entire area. Go up river to the town of Dalyan and pass beneath some impressive Lycian rock tombs. Take a brief stroll through the town before returning to the yacht in the Ekincik. Overnight in Kizinlkuyruk harbor in a quiet anchorage with a pleasant pebbled beach. Up to the hills behind the bay and the castle of Lyre it will take you right to the rock tombs for an incredible view, then wander through the bazaar on the way back. Cruise Gocek bay in the afternoon, stopping to see Cleopatra’s baths, a spot that legendary Cleopatra once used for personal bathing. Explore the semi submerged baths by snorkeling or by dinghy and then spend the night in Gocek marina. Day 8: If you wake up early enough, there might still be time for a last swim around the beautiful bay to relive the old days of Gocek before your departure.